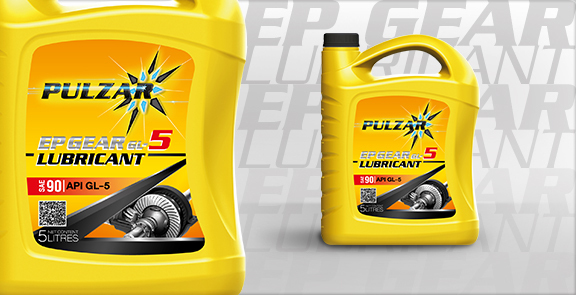 PULZAR EP GEAR GL-5 is a premium grade automotive gear oil designed primarily for the lubrication of differentials and manual transmissions requiring API GL-5 lubricant. It contains a special automotive gear additive that exceeds the latest requirements of gear manufacturers requiring API GL-5 lubricants. PULZAR EP GEAR GL-5 is compounded with the new sulfur-phosphorus additive technology to fulfill with the most recent industry standard. It contains Extreme Pressure agents that protect against shock loading and wear. Foam inhibitors protect against oil aeration, which can rupture and destroy the lubricant film and cause wear. Special rust inhibitors protect against corrosion that can result from condensation. The premium anti-oxidants help to extend the oil service life. PULZAR EP GEAR GL-5 is recommended for use in hypoid and other spiral bevel gear differentials and industrial gear units where API Service GL-5 is required.